Former Supreme Court judge and current member of the National Human Rights Commission (NHRC), Pinaki Chandra Ghose, is likely to be India’s first anti-corruption ombudsman, or Lokpal, after his name was cleared and recommended by the high-level selection committee chaired by Prime Minister Narendra Modi. While this is good and as it should be, reviving the currently redundant provisions of the Lokpal Act could be a matter of some concern to charitable organisations, particularly those funded by government or those who receive foreign contributions. The anti-corruption agitations in the year 2011 forced the government of India to hurriedly pass the Lokpal and Lokayukta Act in 2013, but, it turned out to be a law which could potentially discourage individuals from associating themselves with charitable organisations. Lokpal means caretaker of people, an ombudsman who represents public interest. The lokpal is responsible for investigating corruption charges at the national level and the lokayukta at the state level. 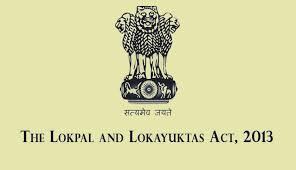 The Lokpal & Lokayukta Act, 2013 (LLA) is an Act intended to Regulate and Control Corruption in ‘Public Institutions’. Unfortunately, NGOs and charitable institutions which are voluntary organizations for public purposes and public good have also been included within the purview of this law. The Act deems trustees and officers of certain charitable institutions and NGOs as ‘Public Servants’ and requires them under this law to declare their assets! Earlier, this made several high profile persons serving on Boards of charitable institutions in a purely voluntary capacity consider stepping down and off the Boards of these institutions. Many high profile businessmen and professionals contribute their time and other resources as trustees of these organizations or associations out of a sense of deep concern and a clear and committed sense of responsibility. Even senior officers of charitable institutions work on salaries far less than their corporate counterparts. However, this law meant to bring about transparency and accountability among ‘Government Servants’ and minimize corruption within the government sector has drawn in trustees and officers of charitable institutions as well. Many charitable institutions receive funds from ‘foreign sources’ and have High Net-worth Individuals on their Board and these individuals are reluctant to disclose their personal assets and make themselves vulnerable and exposed to extortionists and other anti-social elements, merely because of their involvement with a charitable institution in a purely honorary capacity. Who is ‘Public Servants’ under the Act? Under Section 14(1)(f): “Any person who is or has been a Chairperson or Member or Officer or Employee in any Body or Board or Corporation or Authority or Company or Society or Trust or Autonomous Body (by whatever name called) established by an Act of Parliament or Wholly or Partly financed by the Central Government or Controlled by it”. Several charitable institutions are ‘partly financed’ by the Central Government and the term ‘partly financed’ is neither defined nor explained where this particular sub-clause is concerned. This section clearly deems as ‘public servant’ every trustee, manager, officer etc., of a charitable trust or society which is wholly or partly financed by the Government and the annual income of which exceeds Rs. one Crore. Under Section 14(1)(h): “Any person who is or has been a Director, Manager, Secretary or other Officer of every other Society, or Association of Persons or Trust (whether registered under any law for the time being in force or not) in receipt of any donation from any foreign source under the Foreign Contribution (Regulation) Act, 2010 in excess of Ten lakhs Rupees in a year or such higher amount as the Central Government may, by notification, specify. Thus, the definition of ‘Public Servant’ covers every Board Member and Senior Employees of charitable institutions and NGOs wholly or partly financed by the Government and the annual income of which exceeds Ten Million Indian Rupees as also every Board Member and Senior Employees of charitable institutions and NGOs which receive in a year more than One Million Indian Rupees under FCRA 2010. The Competent Authority to whom the Lokpal annual return should be filed is the respective Ministry which has provided the maximum proportion of the grant or donation during the previous year. In case of foreign contribution received the Competent Authority shall be the Ministry of Home Affairs. There was a lot of lobbying against the implementation of this law and currently, due to the amendment made to Section 44 of the Lokpal Act, by the Lokpal and Lokayukta (Amendment) Act, 2016, the Public Servants (Furnishing of Information and Annual Return of Assets and Liabilities and the Limits for Exemption of Assets in Filing Returns) Rules, 2014 and all the amendments made thereto have become redundant. At present there is no requirement for public servants to file declarations of their assets and liabilities. Reportedly, the Government is in the process of finalizing a fresh set of rules which will be notified in due course of time to prescribe the form, manner and timelines for filing of the declarations. There is no immediate cause for concern. However, be mentally and emotional prepared and as they say on radio and television: “Stay tuned in and don’t go away (pun intended)! Very clear and neat explanation…thank you . As we keep our fingers crossed, need your advosory as and when the Central Govt finalised fresh set of rules and guidelines.